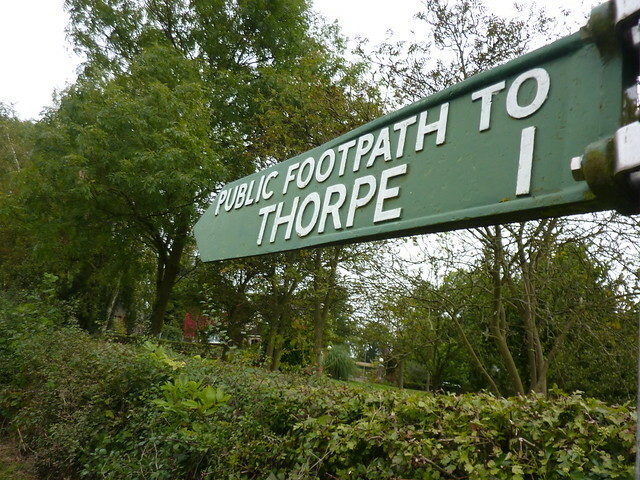 The peace and tranquillity of the Thorpe area was shattered by a car horn off in the distance. The beeps continued thick and fast, to irregular to be a car alarm and too distant for me to know what was going on. Some joy rider zooming round a nearby field? A taxi driver increasingly frustrated by their fare not getting to the cab fast enough, but far too lazy to actually get out of their vehicle to knock on their door? Who knew. BEEP BEEP! BEEP! BEEP BEEP BEEP! Was anyone else even hearing this? It was barely nine o’clock? Surely people would be lying in bed, increasingly annoyed that their Sunday lie-in was being shattered by someone with a car horn? Was someone storming out of their front door in their pyjamas, about to shout “SHUT THAT BLOOMIN’ NOISE UP, NOW!” to some unruly teenager? BEEP! BEEP! BEEP BEEP! BEEP! It seemed to be getting closer. “Can you open that gate for us please, mate?” came a voice from the top of a nearby field, from a man surrounded by sheep. And as looked around, I noticed the battered Land Rover nearby him. BEEP BEEP BEEP! BEEP BEEP! BEEP! Who needed a sheepdog when you could simply herd your sheep in to their new field with a motor vehicle? Why bother with all those complicated whistles when you can use the car horn? I opened the gate just as a frantic herd of sheep came rushing down the hill, across my path and in to an adjacent field. The man came over, said an appreciative thank you whilst his colleague in the Land Rover sped off; his horn no longer needed. The River Dove was crossed by Coldwall Bridge, an old stone bridge built in 1726 but pretty much disused by most since the main road was moved away in the early era of the motorcar. The river itself also marked a boundary and a change of scenery. With one crossing I passed out of the Peak District National Park, out of Derbyshire completely, and in to Staffordshire. With one last glance at Derbyshire, the trail headed on along a variety of farm tracks, before crossing the busy A52. Then the whole nature of the Limestone Way seemed to change in character as the trail headed through a series of muddy, identical-looking and extremely flat fields. Navigation wasn’t helped by the fact that since entering Staffordshire, the Limestone Way’s waymarking had abruptly ended, and replaced instead by a series of generic “Public Footpath” signs. Being confronted by signposts which simply had four arrows pointing in different directions, none of them saying where they were going, hardly helped things. Every now and then, a Limestone Way branded waymark did actually exist, but frequently they were broken or simply pointed in completely the wrong direction. Not surprisingly I ended up taking several wrong turns, regularly cursing my 1:50,000 scale maps which lacked the detail of field boundaries and fences. They’d been absolutely fine for the previous two days, but now they were hopelessly inadequate as I struggled to keep on the right track. More than one I ended up making a big detour, and near Ashfield Farm, outside the village of Mayfield I spent over half an hour walking in and out of every field I could find until I finally managed to find where I should have been going. 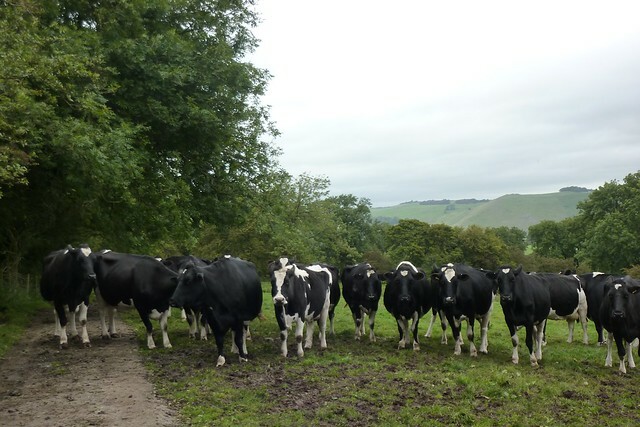 It was a similar situation in a field near the village of Ellastone where the path actually curved round to the left, without giving any indication of where it had gone. The whole character of the walk had changed for its final section. Drystone walls had been replaced by fences and bushes, and idyllic looking rural villages were conspicuous in their absence. Busy roads replaced country lanes, and the rolling hills had given way to flat farmland. It was like the Limestone Way had had a complete personality replacement. For the final few miles in to Rocester it changed even more, heading down the edge of the River Dove again, going through fields so muddy that they would have made Glastonbury look positively clean. Another field near a cottage saw yet more navigation confusion. 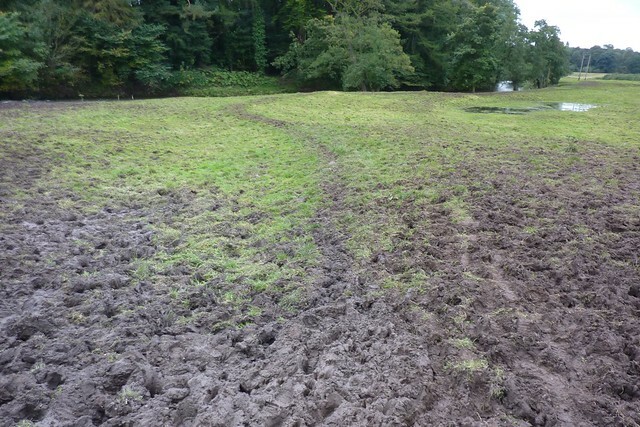 The path had pointed up a steep hill before dumping the walker in a field with no clear indication where to go. I ended up walking round almost every edge of the field before finally finding a stile, hidden behind a massive bush. When the stile led to a road with a bus stop opposite, I was feeling so infuriated that I was tempted to give up there and then and head home. 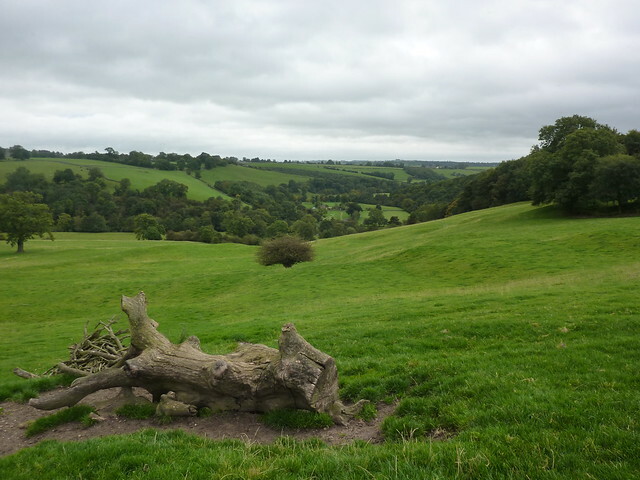 The feeling didn’t go away any quicker when stood on top of a small hill to admire the view of Rocester down below. Well, I saw Rocester. 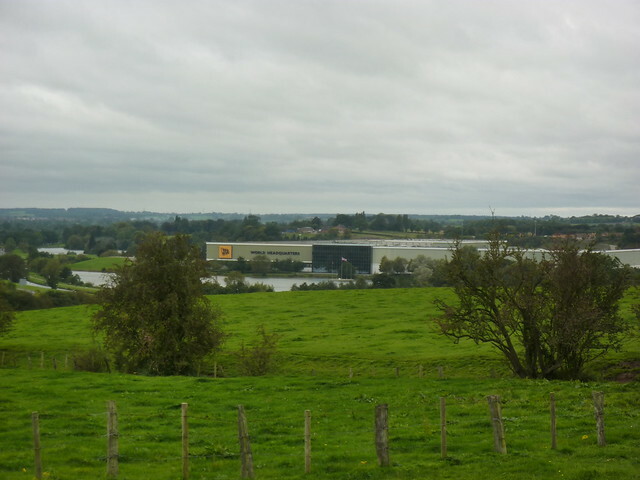 Far more visible was the “JCB World Headquarters” – a building of such enormous girth that it much dominate the landscape for miles around. It reminded me of the branch of Ikea near my parents’ house in Manchester – a giant blue box that could be seen from Kinder Scout. It all felt rather depressing. Archaeological finds in the town have dated a settlement back to at least 2000BC, but now the Limestone Way spent its final mile heading through a housing estate full of 1960s family homes. It all felt rather depressing, especially considering the lovely scenery the route had started with in Castleton. What I initially took to be a modern office block, but actually turned out to be a school, marked the end of the Limestone Way. Covered with shining glass, a sign outside the “JCB Academy” told anyone who cared that it was “developing engineers and business leaders for the future”. In contrast there was no sign that the Limestone Way had ended. But then I wasn’t particularly surprised by that. I sighed and headed in to the centre of the village to find the bus stop so I could head home. A couple of teenage lads hung around outside the village shop, clearly demonstrating the beer swilling skills that would make them future business leaders, but otherwise the place was deserted. Next to the bus stop a small building bore the legend “Millennium 2000” and perhaps showed a little insight in to the area. 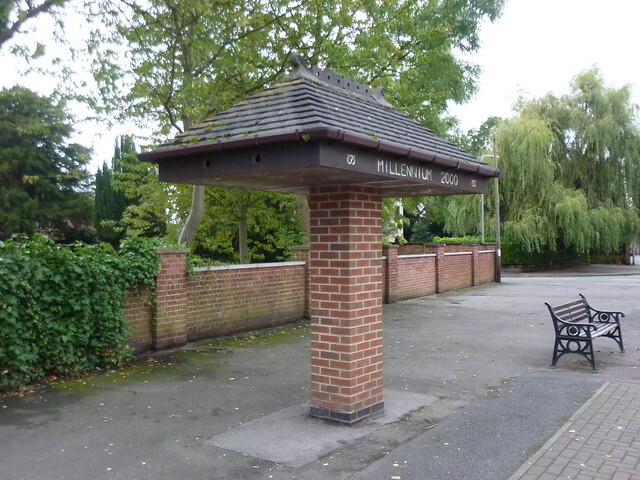 It was a shelter – a large roof, supported by a wide central column made of brick. And it was effectively useless. If it rained there would be no way to escape it. The winds could batter from either side. And if it was too sun, the thing probably wouldn’t provide much shade. Someone had optimistically built it in celebration; it had seemed like a good idea at the time. The Limestone Way’s extension to the village seemed to fit in the same boat. Well… it must have seemed like a good idea at the time. The bus pulled up and I paid my fare to Uttoxeter railway station. It was time to go home. I enjoyed your description of the Limestone Way – having done it myself. I use a company called Contours and their version ends not in Rocester but Ashbourne (so remaining in Derbyshire). Instead of crossing the Coldwall bridge I turned left and followed the River Dove which is a really nice river walk. Just before Ashbourne the instruction said to cross the Tissington Trail and climb a field to a main road and follow this into Ashbourne. That made no sense so rather than crossing it I turned right on the Tissington Trail and followed it all the way into the centre of Ashbourne ending with an interesting walk through a tunnel ( http://www.forgottenrelics.co.uk/tunnels/gallery/ashbourne.html ). It sounds as though this ending to the Limestone Way is nicer than the official one. First Published: 13 November 2012. Last Updated: 16 November 2014.